Original Comic and Cartoon Siêu nhân and Superboy. 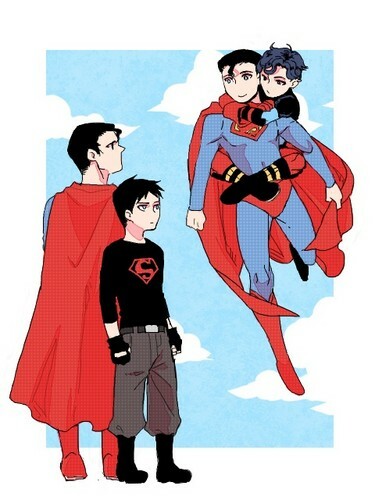 Young Justice cartoon Siêu nhân and Superboy meet their original comic book counterparts. Wallpaper and background images in the Liên minh công lý trẻ club tagged: young justice original comic superboy superman conner kent clark kent.